Welcome to the Topretirements Best Places Newsletter for March 21. 55Places.com is excited to announce its list of best-selling active adult communities from across the country. 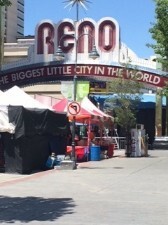 Often overlooked, many locales in Nevada like Reno and Carson City are great place to retire. As Moderator Flo describes in her latest field trip report, they offer outstanding year round recreation and many things to do. Southern Pines offers a less expensive and lower key version of nearby Pinehurst&apos;s golf and horse country. Cute shops and pretty homes line both sides of the main street. There are coffee shops, restaurants, and a very good independent bookstore. 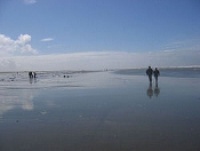 Ocean Shores has six miles of beach, fishing, open spaces, parks, wildlife areas, and a favorite bird-watching spot with over 280 bird species. The community hosts many festivals and offers outdoor recreation of every kind. It is really fun to dream about the places where we might retire abroad. In our 2018 list we concentrate on the countries where it would be fun and interesting to retire - not just be the cheapest. Hope you enjoy the trip, which includes tons of comments from our Members about their favorite places to retire.